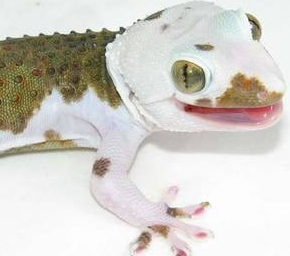 We had the opportunity to interview Kevin of New England Reptile Distributors, asking him about the amazing Tokay Gecko morphs they are working with. In the interview we get to know the origins of these morphs as well some in depth information on the current morphs, the future of the morphs, and more. This interview is a must read for any gecko enthusiast! The time is now! Vote on the entries of our March photo contest! We had 20 submissions, which is great for our first few weeks of being online! Listed below are the photos entered. Remember, the winner of this contest will receive 1,000 mealworms shipped to their door or two months of premium advertising on Gecko Topsites. Viper geckos have gained popularity lately and for a very good reason. This species is easy to keep and is quite rewarding. 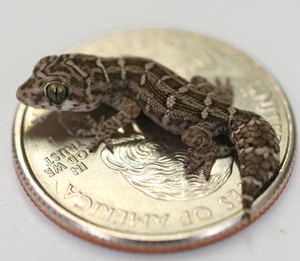 Viper geckos only grow 3.5 inches ad females can lay 10 to 15 clutches a season! Gecko keepers are always on the lookout for good deals on feeders to offer their prized pets. Today we have a comparison of 10 breeders that can all be found online. We have given the price for 1,000 crickets, 1,000 mealworms, and their shipping costs when available. I hope this resource will help save you all time when looking for where to buy your next feeders. In this post Ira details native environment of Underwoodisaurus milii and sphyrurus. Underwoodisaurus milii and Underwoodisaurus sphyrurus are endemic to the Australian continent. The range between the two species varies greatly as well as the habitats each is found in. Both in the field and in captivity this genus shows a preference to aggregate in their diurnal hide sites. Gecko Time is pleased to announce it’s first photo contest! The gecko world thrives on photos. They make us smile, they inspire us, and sometimes even help us sell a gecko. We thought the community would enjoy getting a chance to show off their best shot! The winner will receive 1,000 mealworms delivered to your door or two months of advertising on Gecko Topsites! Gecko Time is pleased to present an in depth interview with Steve Skyes of the amazing Geckos Etc. Geckos Etc. is the result of 29 years of keeping and breeding reptiles. Steve started keeping reptiles at the age of 4, but it wasn’t until he bought his first group of leopards from an ad in Reptiles Magazine that he fell in love with the species. After months of planning, content development, and reflection Gecko Time is now live! 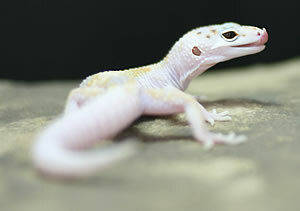 Gecko Time is the first blog produced by Reptile Network. 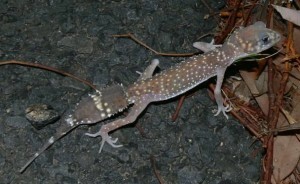 The purpose of Gecko Time is to become a leading source of gecko information. We hope to bring our viewers amazing breeder interviews, species spotlights, and more. Our goal is to bring rich, interesting content to gecko lovers.